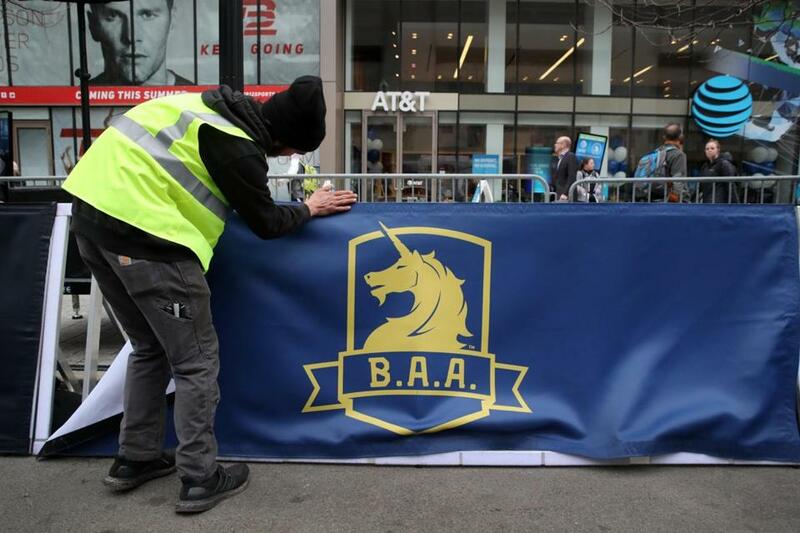 Kam Trep of AMI Graphics worked on banners at the finish line of the Boston Marathon on Boylston Street on Friday. Anyone venturing out to watch competitors in the Boston Marathon on Patriots Day should avoid bringing any backpacks or coolers to the race. Those are among the items the Boston Athletic Association has banned for spectators at this year’s marathon. The race will be monitored by uniformed and plainclothes police officers and security personnel, the B.A.A said, and as in years past, spectators may be asked to pass through security checkpoints anywhere along the course from Hopkinton to Boston.